Arequipa is the white city of Peru, due to its white walls made of ashlar or sillar, a white stone that lies at the feet of its volcanoes. 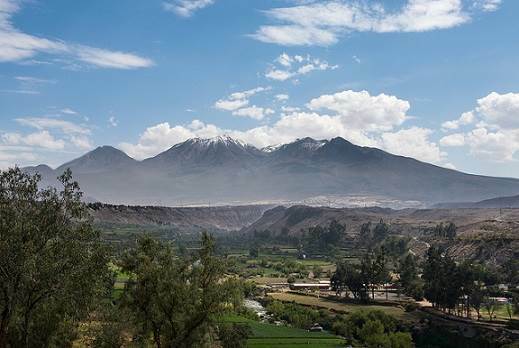 Arequipa is settled between the coast and the southern highlands of Peru. 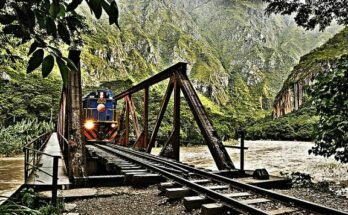 Its destinations and attractions include snow-capped mountains, deep canyons such as the Cotahuasi and Colca, a renowned gastronomy, small coves and beaches.. The city is surrounded by several peaks such as the Ampato (6.288 m.a.s.l. 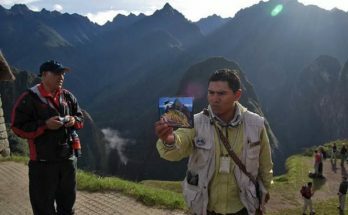 ), the Nevado Chachani (6.075 m.a.s.l.) and El Misti (5.825 m.a.s.l.). Lima’s history dates back to pre-Columbian times. North of the Lima lies Caral, the most ancient city in America; and, in the South, the Archaeological Complex of Pachacamac, an important religious center of ancient Peru. The establishment of the Viceroyalty of Peru transformed the city into the main political and administrative center of South America. The most iconic temples, convents, mansions and balconies of the city were built during this period. Due to its historical and architectural significance, the Historic Center of Lima was declared UNESCO World Heritage Site in 1988. Museums with major art pieces, the archaeological sites, the beaches, the waterfront promenade, the valleys, the flora and fauna reserves, the nightlife, the adrenaline of adventure sports and the exquisite gastronomy give the capital of Peru an authentic personality and turn tourism in Lima into a unique experience. Tarapoto is a thriving commercial city in northern Peru, in the San Martin region. It is well known for its waterfalls, landscapes. 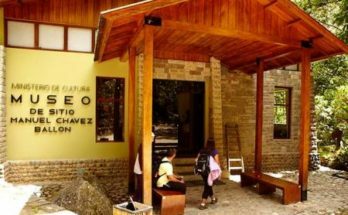 The nearby jungle is also home to various species of orchids and butterflies, as well as several endangered species that are protected in the National Río Abiseo Park – declared Natural and Cultural Heritage of Humanity by UNESCO – and the Cordillera Azul National Park. The city’s varied geography shows fertile valleys, uneven lands, Andean plateaus and a small area of low rainforest. The city is also famous for its lakes, which have crystal clear waters, such as Lago Lindo and Lago Azul. Tarapoto’s archaeological sites are hidden in the cloud forest, such as the citadel of Gran Pajatén. Located in the north east Peruvian Amazon rainforest, Iquitos is the capital of Loreto Region (state), Peru’s largest stretching over nearly 30% of the country’s total area surface. The city lies on the banks of a secondary arm of the Amazon River, opposite a large densely forested, almost twenty kilometers long river island called Padre Isla. The city is surrounded by a number of smaller rivers and canals. Piura´s streets are always illuminated by the northern sun of Peru. Tourism in this city is based on its resorts and beaches, favored by surfers: Máncora, Colán, Los Órganos, Vichayito, Cabo Blanco – famous for hosting writer Ernest Hemingway – and Lobitos. In this region, we can find colonial temples and towns of artisans, such as Chulucanas and Catacaos. Las Huaringas Sacred Lagoons, whose waters are said to heal several ailments are a bus ride away from the city. Piura is also home to the Sechura Desert, the largest arid region in Peru. Some of the local celebrations include the festivities of the Captive Lord of Ayabaca and the Holy Week of Catacaos, both characterized by a deep religious devotion. Piura’s gastronomy is plentiful and varied. Trujillo’s pre-Columbian architecture features temples, pyramids and mud cities that have survived through the ages, including the Citadel of Chan Chan, the Pyramids of the Sun and of the Moon, and El Brujo Archaeological Complex. Magnificent colonial architecture and living culture with rooted customs such as fishing in horse-like rafts made of totora reeds (called Caballitos de Totora –or totora horses—traditional boats from the northern coast). Renowned beaches attract surfers from all over the world. Home to the elegant and graceful marinera, the national Peruvian dance. It is a land of deserts and fertile valleys, between the coast and the highlands, drawing a peculiar landscape. Its history dates back to the cave paintings in Toquepala. Its beaches have calm waves and its hot springs and lagoons are located in the lower areas of the Andean Mountain Range. Its vast vineyards generously produce wines and piscos for export.